Epic! just epic! We found that this is the most bizarre news that we’ve ever encountered so far. 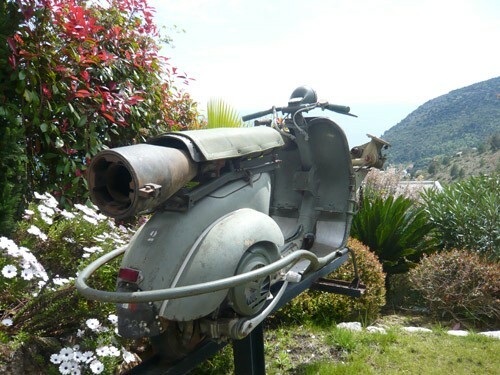 An old and rare Vespa modified in the 1950s for military use is now up for sale at the price tag around 12,000 to 15,000 Euros. There was once 800 units of the bike during it’s service to the French Airborne forces. But with time and all the years being kept and not preserved properly, many of it’s cousins has just vanished into becoming not more than just a pile of junks of the World War 2. 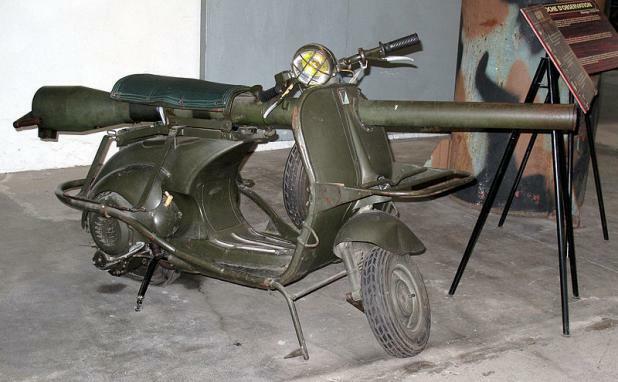 The Vespa comes fitted with a US-made M20 recoilless rifle and once had an additional rocket propelled grenades. 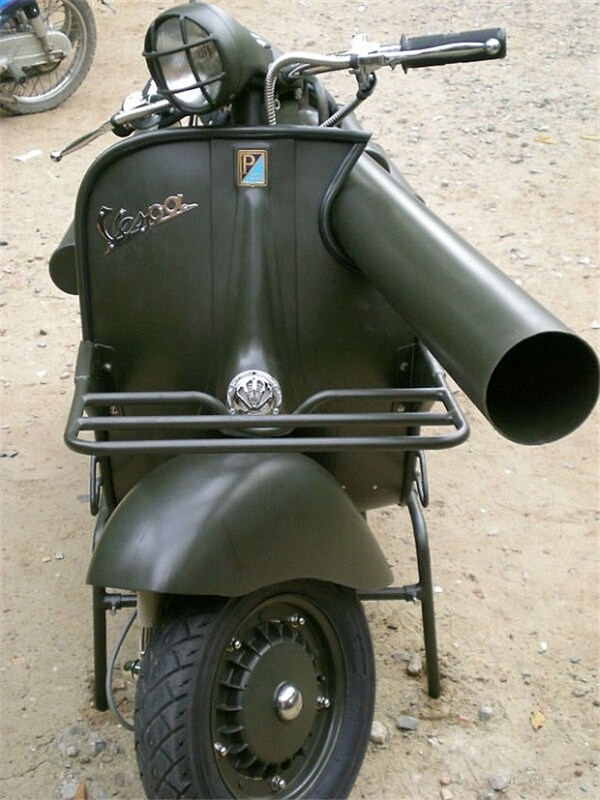 This sure makes the Vespa sounds more and more amazing and as unique as a Vespa can be. But although the bike comes with all this weaponry in it’s possession, it can’t never be fired while being ride and needs to be in a stabilized and secured state before it can ever be use. But of course this particular Vespa has already been deactivated and it can’t never hurt anyone directly with it’s arsenal of weapon. But we are pretty sure if it ever being used on the street, few drivers will actually feels intimidated with it’s presence. Well, as excited as we can be about the Vespa, we do understand that it’s highly impossible that it will ever set foot here.